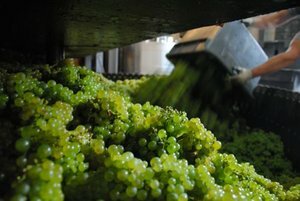 Like for every wine, the character of great Champagne is born in the vineyards. 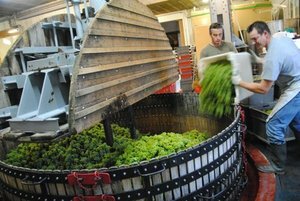 But its quality highly depends on the pressing of the grapes. 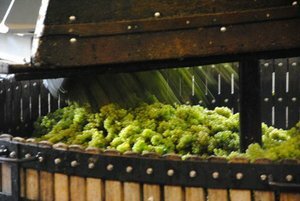 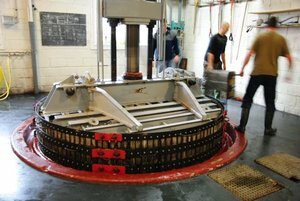 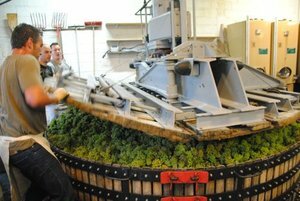 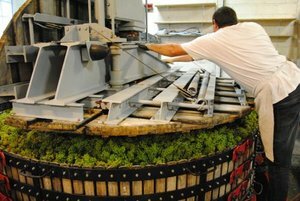 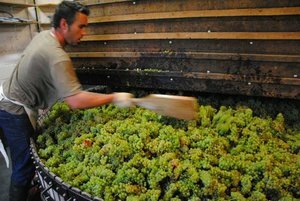 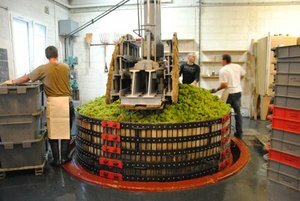 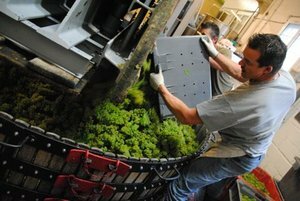 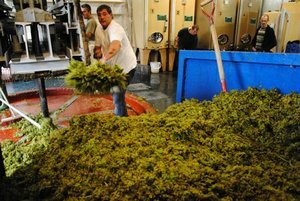 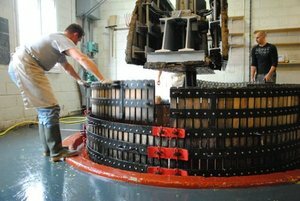 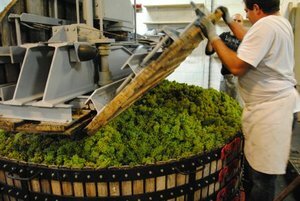 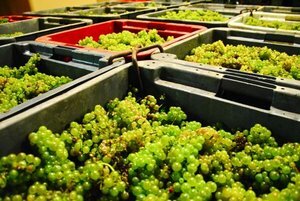 Traditionally, vertical basket presses containing 4000 kg of grapes (or a multiple of 4000 kg) are used in Champagne. 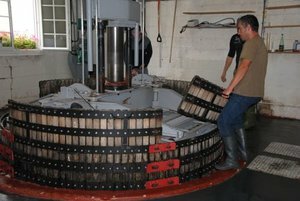 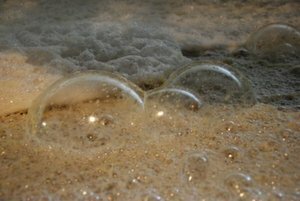 Press, cellar and tanks are standardized and their conformity is checked by the CIVC (Comité interprofessionnel du vin de Champagne) and the INAO (Institut national des appellations d’origine). 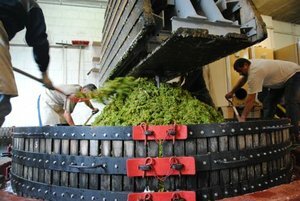 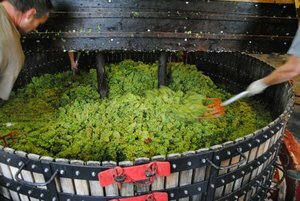 Grapes are pressed as whole bunches without destemming. 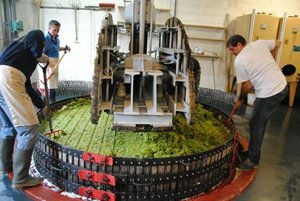 The advantage of whole bunch pressing is that the juice flows out of the pomace more easily. 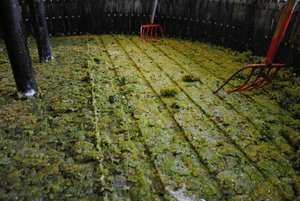 Additionally, the pomace filters the juice, that runs out of the press particularly clean and clear. 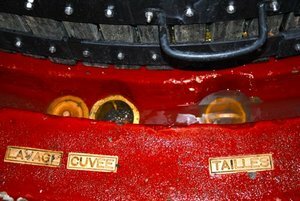 According to its quality, the must is split into different parts, called “cuvee” for the first part, “taille” for the last part. 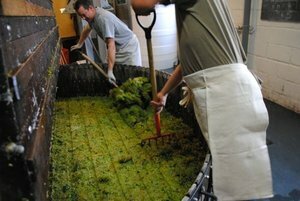 During pressing, pomace is restacked by hand several times to facilitate liberation of the juice. 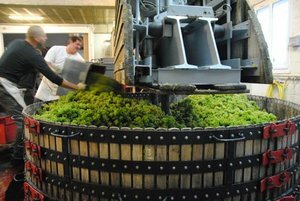 After several hours of loading, pressing, restacking and unloading the basket, the wine maker obtains some 2050 litres of “cuvee” and 500 litres of “taille” must. 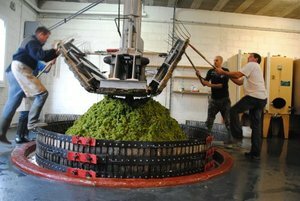 That’s the maximum press yield allowed by the production rules of the Champagne region.